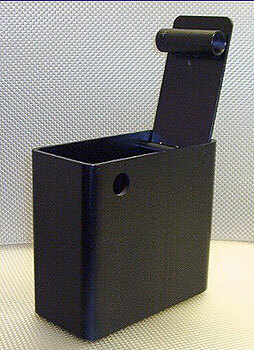 Standard and custom H and P series keys and locks for most coin and safe boxes or bags are now available in all sizes. We are also glad to research your most challenging requirements for replacing lost keys and codes in your money collection and storage security system. Our special locking concept provides maximum protection. Plastic canvas bag combined with steel for strength and double lock for added security with better space distribution in your vehicle. Addressing the needs of some route operators that due to the volume and complexity of their operations need extra space in the vehicle transporting the goods and the money collected from different outlets, Safeguard Coin box has created the "Safeguard Coin bag". 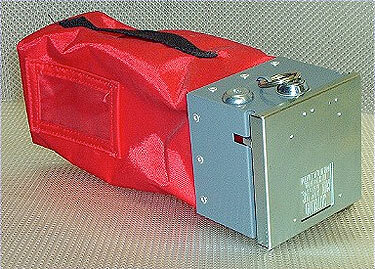 A bag of steel and plastic canvas that works with the Safeguard Coinbox security system, having self-closing lid and double lock that can alternate with a steel box on the same machines according to customer requirements, e.g. an operator if you prefer you can use a bag during weekdays and a steel box for Saturday and Sunday on the same machine or use the same key to change bags or boxes on the same route. While the case is fully shielded and will have no wear over time, the bag will allow more maneuverability and better distribution of space in your vehicle, but both offer that the collector will not have direct contact with money, firstly because they only change the box or bag, secondly the public will not see the money, the operation will be very quick and discreet, so the collector can visit more outlets in one day, then in the office it is very easy to pour the contents box or bag in a coin counting machine. 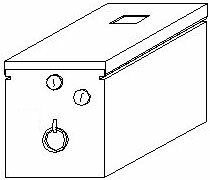 Safeguard Security systems are manufactured for all makes and models of vending machines on the market . 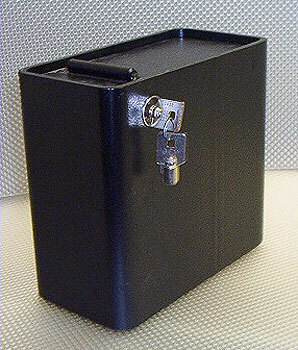 Contact us to arrange a trial of the Safeguard Coin Box System at your own location!